Deb joined the staff in 2005 as Business Manager/Administrative Assistant. 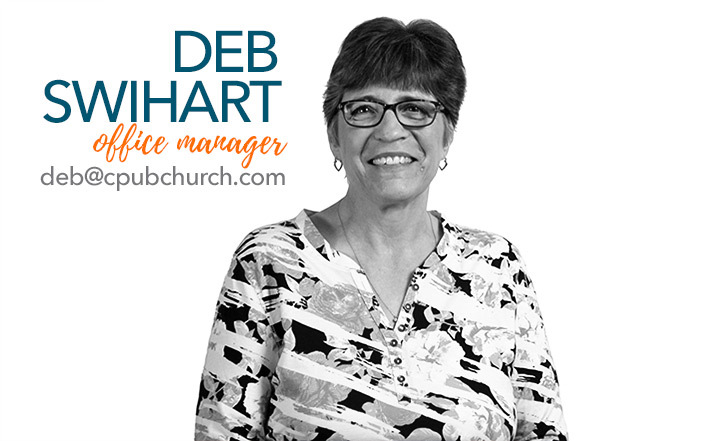 Deb handles most of the communication for the church. She and her husband, Bill attend CP’s sister church, The Well, and is an Elder and the Treasurer for them. They have two children, Amanda and Shawn and three grandchildren.